It could eliminate one of the larger hassles of online marketplaces. It's usually a pain to list your goods on an auction or marketplace site, especially if it's your first time. You have to describe them, choose photos and (worst of all) choose a price that will reel in potential bidders. eBay, however, thinks it can cut the process down to a few taps. 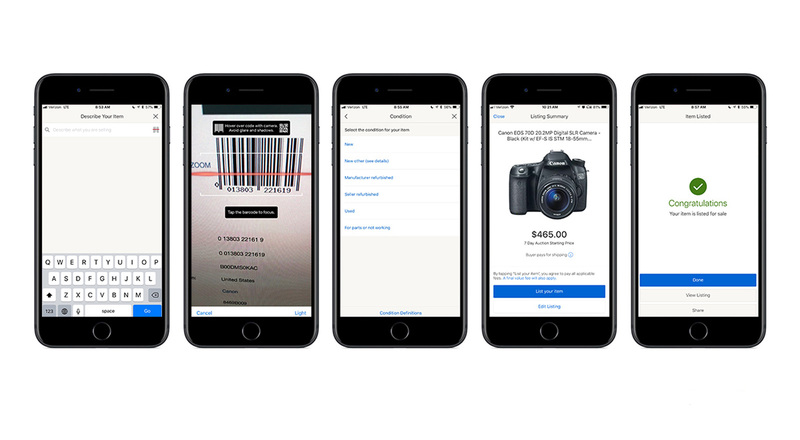 It's updating its Android and iOS apps with a simplified selling process that it claims can list a product in a matter of seconds. If you have the box for an item, you just have to scan its barcode (or, if that fails, search by name) and choose the item's condition. After that, the app can fill in a basic description, photos and even the starting price -- as elsewhere, eBay can use a mix of structured data and predictive analytics to choose a price based on what's likely to get a response. You can still edit the listing before you post it, so you can fine-tune the price or otherwise customize your entry if you don't completely trust eBay's judgment. The company isn't shy about who the feature is for: it's aimed at "new sellers" who may not know the ropes. At the same time, it can help would-be buyers by providing more well-labeled listings to choose from. With that said, this approach isn't for everyone. It won't help if you don't have a barcode, of course, but it's also less than personal. If you're selling more than what came in the box, or you want to take photos to prove your item is still intact, you'll still have to put in some work. Think of this as a gentler introduction to eBay's world rather than a solution for everyone' problems.